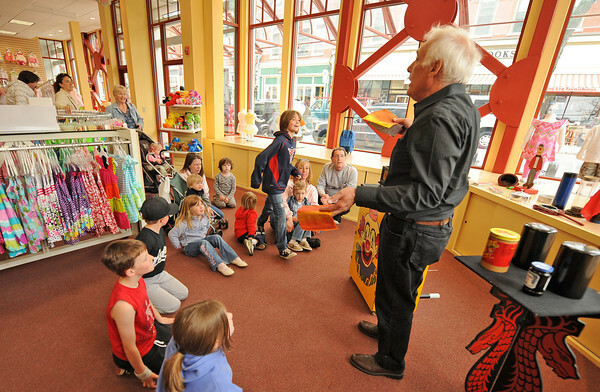 Gloucester: Max Ross AKA Mr Magic inertains some children at Kids Unlimited Grand opening on Main St, Saturday morning. Visitors to the store were also greeted by Micky and Mini Mouse. Desi Smith/Gloucester Daily Times.